Do you have a hard time listening to Republican leaders and their mouthpieces at FOX News and reconciling their statements with reality? Do you find it difficult to reconcile Mitt Romney’s antipathy towards ObamaCare with his authorship of the Massachusetts RomneyCare? Can you appreciate how Obama’s birth certificate, proven to exist beyond any doubt by the State of Hawaii, can continue to be flogged time after time by Republicans as if it doesn’t exist? Are you confused to see trillions of dollars being shipped off to Afghanistan and Iraq for wars that make no sense, while this country’s education system, essential infrastructure and populace becomes increasingly impoverished? Are you astounded, like I am, that a significant percentage of this country votes election after election for people who explicitly profess to have interests contrary to those of the voters, interests that they promise to pursue even if they’re contrary to those of their constituents? Even the existence of Michelle Bachmann as a legitimate representative of her state is mind boggling. The woman is out of touch with reality, yet she’s an elected state Congresswoman, and was an aspiring and legitimate Presidential contender. When I observe these seemingly contradictory things, I can’t help but think that there must be something wrong with me; that all these people, elected by so many others, apparently smart men and women, couldn’t possibly be taking those positions, or doing and saying the things they do and say, unless there was some validity behind them. I was obviously missing something. Something that could explain why they were right and I was wrong. It turns out I wasn’t. 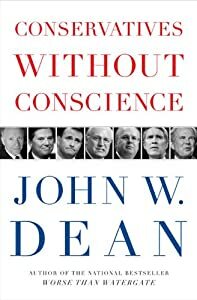 Sometime last year I read a book by John Dean (of Watergate fame) called “Conservatives Without Conscience“. Dean’s book, which was published in 2006, analyzed the Bush Presidency up to that date, and tried to explain how the Republican Party morphed from the fiscally fixated, conservative Goldwater mold, to that of the culturally obsessed current crop of Republicans. That book relied heavily on Robert Altemeyer‘s studies involving authoritarian personalities. Altemeyer compiled his findings into a book. This book, “The Authoritarians” is the resulting synopsis of his research that John Dean expanded on. 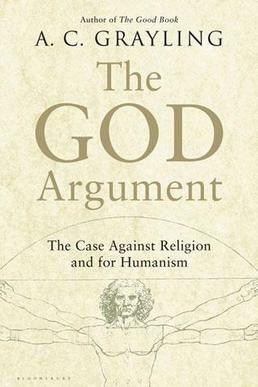 Altemeyer has been doing research on the subject since the 1960s, and publishing his results since the 1980s, primarily in scholarly and academic circles. This book is extremely persuasive concerning the proposition that the authoritarian mindset is the main reason why we have such polarization of thought and politics in this country, resulting in so much cognitive dissonance, not to mention the Republican Party we currently know and love despise. a high level of conventionalism. He created a scale, essentially a questionnaire, (* I’ll reproduce a portion of it below) that sorts people between a high or low tendency towards or against authoritarianism. Everyone on the scale he calls “right wing authoritarians” or RWAs. There are High and Low RWAs and many in between. However the ones on the high end of the scale tend to be highly religious, accepting of any authority, and prone to aggression against those who are not in their group. They are difficult to rationalize with, are capable of compartmentalizing and believing often opposing and hypocritical positions, and stick with those they believe are reliable authority even when they are shown to be wrong. They are dogmatic and rigid in their dogmatism. The aggression aspect comes out because they believe, wholeheartedly, that they are right, that they are morally superior (i.e. self-righteous), and that everyone needs to believe what they believe. They also tend to be highly prejudiced against anyone not in their “in-group”. It’s a personality attribute (I would call it a personality disorder) that is difficult to overcome with logic, reason or any degree of critical thinking. In short, high RWAs seem to value irrational, illogical and even hypocritical positions, even in the face of contrary evidence. Does that sound familiar? Now, for purposes of this research and its conclusions, right wing doesn’t mean what you think it does. It’s not a synonym for conservative or anti-liberal in the political or social sense (though it does correlate to those same types). It means “lawful, correct, proper, doing that which the authorities say you should do”. This is where the “conventionalism” comes into play. Conventionalism is the belief that one should act according to the standards and norms of the day, as decreed by most authorities. And what is one of the most prevalent and conventional authorities in America at the moment? Religion (There is a whole chapter, 1 of only 7, devoted to the topic). High RWAs can be on the left wing of the political spectrum. Communists in the old USSR, for example, were probably high RWAs. So a right wing authoritarians is one who sub-serves to a respected authority, will become combative in the face of any opposition to that authority, and requires that everyone sub-serve to the existing norms and customs promulgated by authority. In short, they don’t think for themselves, because they follow authorities who do their thinking for them. This is one of the reasons why most high RWAs are also highly religious, many falling into the fundamentalist cast. They believe in the most holy of high authorities, God, and remain very dogmatic in their adherence to God’s authority. It’s why they can’t see or even agree with the non-egalitarian nature of civil rights for gays, for example, because even though the logic, humanity and rationality is there to support it, it violates God’s authority, and hence must be opposed, even if it means violating other commandments of other authorities (love thy neighbor). A regular reader of this blog can see why I find this interesting. Authoritarians “buy into” whatever their authority figures say. Be it Rush Limbaugh, or John Boehner, or the Pope, or whoever, it doesn’t matter to them whether they are right, that what they proclaim as true makes sense, as long as they identify with those authorities. Does the term “blind faith” come to mind? It’s near impossible to give justice in a short review of all the concepts and conclusions reached by the research of Altemeyer. However, suffice it to say that I find his research and conclusions to be highly explanatory of that which previously befuddled me. I can look at someone like Boehner, who will stand in front of the cameras and say things that sound like lies, lies and damned lies, all with a straight face, and I now understand how he can do it. I can’t put myself in the authoritarian shoe, settle in and be like them. But I can look at the authoritarian under a microscope and figure out how and why he ticks. There is science behind these explanations, as the scales are repeatable, testable and relatively consistent in their results. RWAs are followers, but when combined with what he calls “Double Highs” (essentially amoral authoritarian leaders) the results can be potentially lethal or catastrophic. Read about the Global Change Game he conducted repeatedly for a chilling look at our possible future (it starts on page 30 of his PDF book). The book is free on his website in PDF format. It is written in a breezy, laid back style with very little in the way of statistical jargon, essentially written for the layman. 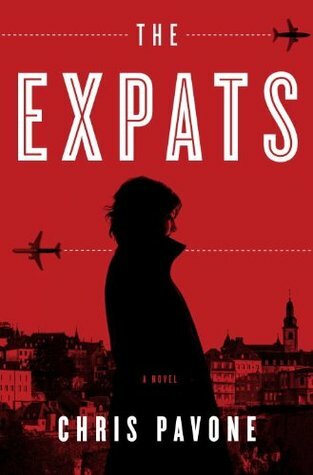 This is a must read for anyone who sees the fascistic tendencies of our politicians (“wrapped in the flag carrying a cross”) and can’t figure out the attraction they hold to a sizable percentage of the country. Write down a -4 if you very strongly disagree with the statement. Write down a -3 if you strongly disagree with the statement. Write down a -2 if you moderately disagree with the statement. Write down a -1 if you slightly disagree with the statement. Write down a +1 if you slightly agree with the statement. Write down a +2 if you moderately agree with the statement. Write down a +3 if you strongly agree with the statement. Write down a +4 if you very strongly agree with the statement. and protestors are usually just “loud mouths” showing off their ignorance. ___ 2. Women should have to promise to obey their husbands when they get married. the radical new ways and sinfulness that are ruining us. ___ 4. Gays and lesbians are just as healthy and moral as anybody else. bit as good and virtuous as those who attend church regularly. values, put some tough leaders in power, and silence the troublemakers spreading bad ideas. ___ 8. There is absolutely nothing wrong with nudist camps. our moral fiber and traditional beliefs. it makes them different from everyone else. ___ 12. The “old-fashioned ways” and the “old-fashioned values” still show the best way to live. for women’s abortion rights, for animal rights, or to abolish school prayer. us back to our true path. too late, and those who break them must be strongly punished. their own godless purposes, whom the authorities should put out of action. submissive to their husbands and social conventions belong strictly in the past. tell us to do, and get rid of the “rotten apples” who are ruining everything. ___ 20. There is no “ONE right way” to live life; everybody has to create their own way. and accept their group’s traditional place in society. Scoring and further explanation are in the book, which I can’t recommend highly enough. This is just one of the scales. This entry was posted in 2000 election, 2008 Election, 2010 elections, 2012 Elections, Beliefs, Bill O'Reilly, Birther, Brownbacking, Christianity, Church and State, Cognitive Dissonance, Constitution, Critical thinking, culture, Current events, delusion, Economy, First Amendment, Fox News, History, Insanity, Iraq, Law, Obama, Political/Topical, Politics, Presidential Elections, Rationalism, reality, Reason, Religion, Republicans, Romney, Tea Party, Tribalism and tagged Barack Obama, Beliefs, Christian, Congress, Conservatives Without Conscience, Constitution, elections, Fox News, Global Change Game, god, hypocrisy, Intelligence, John Dean, Michele Bachmann, Mitch McConnell, Mitt Romney, Obama, Politics, Reading, Religion, Religion and Spirituality, Republican, Republicans, Robert Altemeyer, Skepticism, Theism, United States. Bookmark the permalink. ← WTF Is Going On In Syria? Hmmm . . . we tend to accept with little question what we believe (or want to believe, or have a vested interest in). That is not unique to the right. It can be argued the left is also interested not so much in discussion, but to promote their own view and ideas of how the world should be. And not just promoting; just as in the right, there are those who advocate the “screw them! We’ll shove it down their throats” approach because they “know” they are right, and they “know best”. Demonization of, and even violence toward, opposing views is not relegated to just one side, and hypocrisy is rampant across both the social and political spectrum. That includes making excuses for leaders one agrees with, and blaming leaders one does not agree with. And if you ask the leaders, any leaders, they will tell you they are not to blame. The wording of those questions are troublesome. For instance, what if I disagree with 6 because I think atheists may be more moral, not as moral? I could look at 7 and see the “troublemakers” as Palin, Bachman, Ryan, Rove, Murdoch, etc. Nudist camps have negatives, but they have nothing to do with morality or authority. I could go on. I think that’s why it’s scaled between nine degrees of agreement or disagreement. You can strongly agree, slightly disagree, feel neutrality, etc. Combined with all the other answers, you get a fairly reliably scaled score. Notice also that the way the questions are posed, roughly half of them, if you lean one way, you would disagree with, while the other half you would tend to agree with. That’s designed to take away the natural tendency of people to agree with any question, so it alternates questions negatively and positively to take away that bias, as you go through the scale. I really, really (really!) think it’s a book that’s worthwhile reading. I got through it very quickly. There’s a lot more justification for the conclusions than just this one scale.